Willunga Waldorf School is a thriving, contemporary, independent, K to 12 school nestled in the beautiful Southern Vales of South Australia, close to magnificent coastline and surrounded by vines and almond groves. 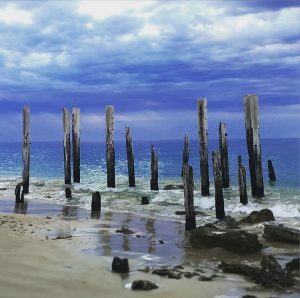 It is situated on the edge of the rural town ship of Willunga, fifty minutes drive from the city of Adelaide. Students can commence their learning journey in playgroup and continue a full, Steiner curriculum through to Year 12. One that is rich with discovery, imagination and deep engagement where they can learn, grow and develop a sense of purpose and direction, both as individuals and as part of a community. Here you will find an educational community where the potential of each one is supported through the strength of many. The magnificent grounds and architecture are an integral part of the education with each learning space designed to reflect the curriculum themes explored within. Willunga Waldorf School first opened it doors to a group of eight children on March 15th, 1989. Founding teacher, Marita Huxholl pictured a flourishing K to 12 school at the lighting of the first story candle on that day. On March 15th 2019, Willunga Waldorf School celebrates 30 years of rich, learning success. Simultaneously in September 2019, Waldorf Education worldwide celebrates 100 years since the opening of the first school in Stuttgart in 1919.